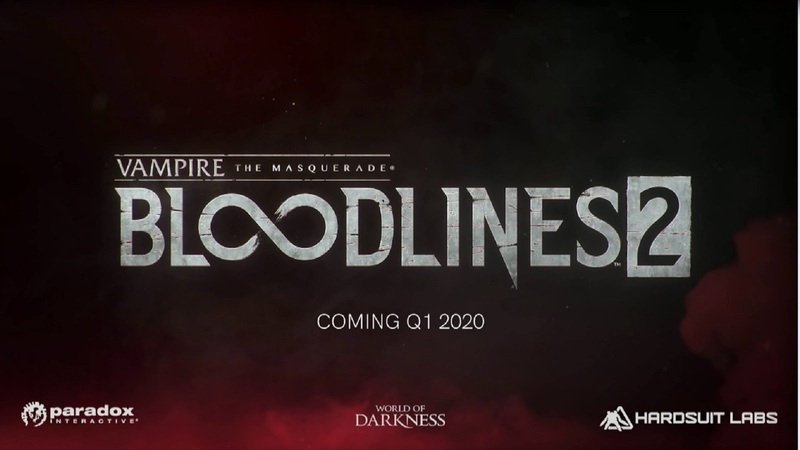 As someone with fond memories of the old PC game, "Vampire: The Masquerade--Bloodlines," I was pleased to hear that there has been a sequel in the works for some years that has now been revealed and which looks quite promising. The original game was great fun even if it was buggy mess without the fan-patches that were later created and the fact it has a colon and long dash is arguably a grammatical crime. The original game wasn't perfect, in other words, but many folk loved it, myself included. This new one sounds like it will have much improved combat and a fun plot whilst also maintaining its edgy vibe but perhaps adjusting story-elements that were questionable then and would be even more problematic to have these days (tone-deaf portrayals of mental illness, weirdly outdated sexism, and so forth). 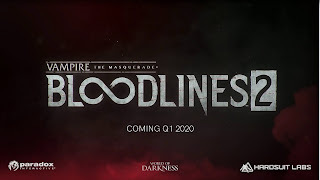 I don't play video-games as much now but love well-developed worlds with interesting characters, something the first, "Bloodlines," had in ample supply. I'm excited for this sequel and hope that it isn't just on computers as my current laptop is way under-powered when it comes to playing games. Here's hoping it hits the PS4 too, perhaps. Whatever the case, I look forward to hearing more as further details are revealed and the game nears release in early 2020--still a ways off, but not too far.